Big Wheel Cycling Club was established in the summer of 2013 by avid cyclists, Fabio Zeppieri, Ronnie Sirizzotti and William Greco. It was from their enthusiasm that the club was born and the passion was ignited. 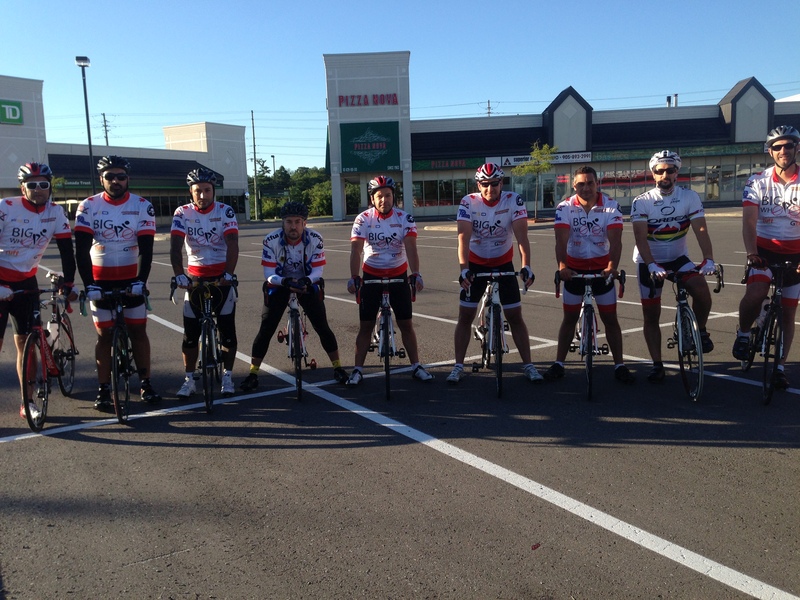 The 3 founding fathers rode around Vaughan attracting new members every week. By the end of the first year the club had grown to over 15 cyclists who all shared the same passion for cycling and all it offered. The club rides every Sunday morning from mid April to the end of October and leaves from various locations within Vaughan always ending every ride with an espresso and dolci. Come join us for an espresso and dolci and the riding is not that bad either. The club has no affiliation and welcomes all riders on its Sunday morning rides. Unlike most clubs we really don’t take ourselves too seriously and are out for the fresh air and friendship. The only rules we have are the one’s listed on our “Rules” page. Take a look and if you don’t think you will break any of the rules, you are more than welcome to join the bad news bears of cycling!